Turning around abandoned urban spaces sometimes just takes a little imagination. This week, we’ve written a lot about how cities let things go to waste. We looked at what we can learn from our trash and what words like “blight” do to a place. We witnessed how our waste gets into our water—from industrial spills in Lake Erie to the sewage of Phnom Penh’s canal to garbage piling up in the Arctic Ocean. But cities don’t just throw stuff away: They also recycle, often in wildly inventive ways. Here are a few reminders that no space needs to be wasted forever, and urban renewal doesn’t always involve bulldozers. 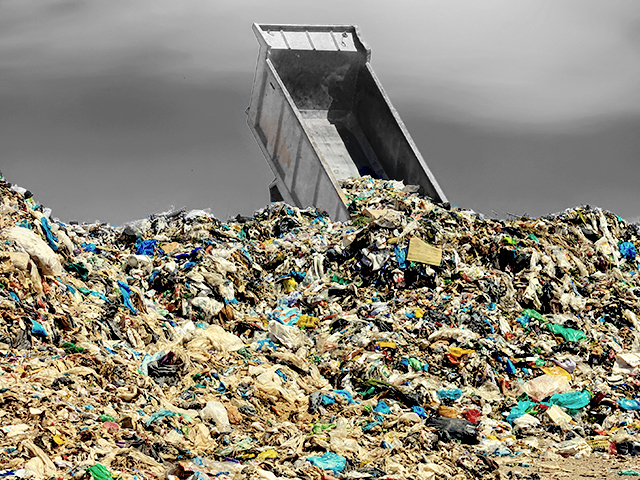 As my colleague Laura Bliss explores in her story about New York’s Freshkills Park, some of the best parts of certain metropolitan areas are literally built on dumps. There’s a whole genre of these parks, from César Chávez Park in Berkeley to the Tiffit Nature Reserve in Buffalo. Here’s a personal favorite: beautiful Mount Trashmore Park in Virginia Beach. The landfill was covered with clean soil in the mid-1970s and now has two man-made mountains, two lakes, two playgrounds, and a skatepark. From pop-up shops to mini-farmer’s markets, there are oodles of temporary ways to turn pockets of forgotten asphalt or empty urban lots into places people want to be. In Philadelphia, which has approximately 40,000 vacant lots, public murals or urban gardens are emerging to reclaim abandoned territory. None are more spectacular than Zagar’s Magic Garden. In 1994, artist Isaiah Zagar turned this vacant South Street lot near his studio into an immersive art installation complete with bottles, bike wheels, and mosaic tiles. When the owner tried to sell the plot in 2002, in response to rising South Street property values, the community rushed to purchase the space and founded a nonprofit. Since 1859, the viaduct shown below held the tracks of the Vincennes railway line in Paris, from the Bastille station to Verneuil-l’Etang. The train stopped running in 1969, and for decades, the Viaduc was “abandoned, crumbling, and decaying” as the Boston Globe put it. Plans were made to tear the structure down. But in the 1990s, the viaduct transformed. In 1993, designers Philippe Mathieu and Jacques Vergely put a walking garden on top called the Promenade Plantée—the only elevated park on a railway before Manhattan’s High Line was built in 2010. Soon after from 1994 to 1997, shopfronts designed by architect Patrick Berger tucked into the arches of this former border vacuum to create the Viaduc des Arts. The Union Oil Company of California left behind a contaminated brownfield on the Seattle shoreline when it vacated an oil and gas facility in 1975. 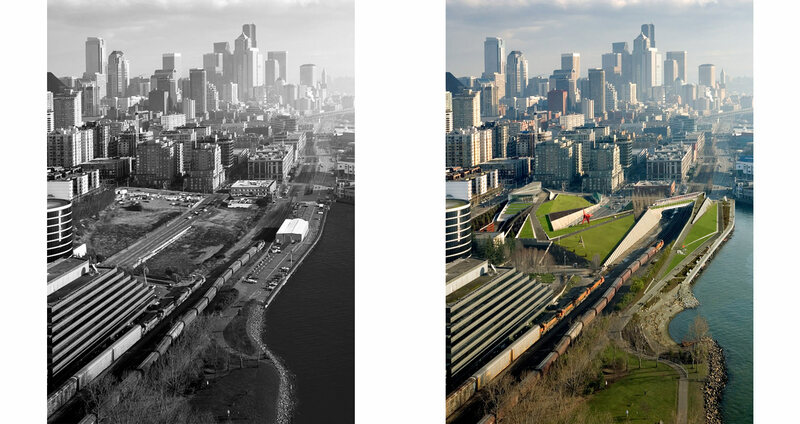 But in 2007, the Seattle Art Museum reclaimed the industrial wasteland and opened up the Olympic Sculpture Park. Now the site tops Frommer’s Guide for things to do in Seattle; the before-and-after photos really reveal how millions of dollars, a few weird sculptures, and an annual evening light show can really spruce up a former wasteland.